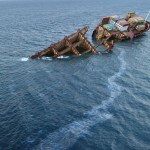 The latest reports on the salvage of the Rena still continues as there are over 350 containers remaining on the bow section. 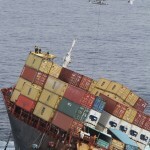 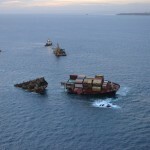 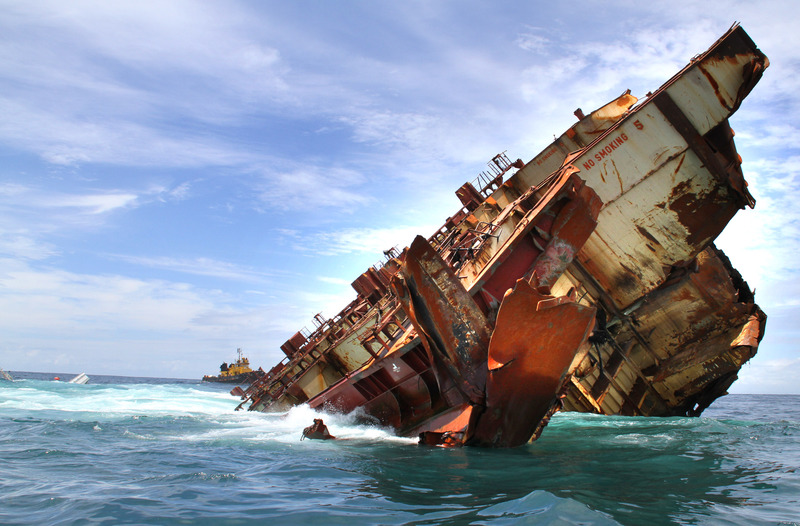 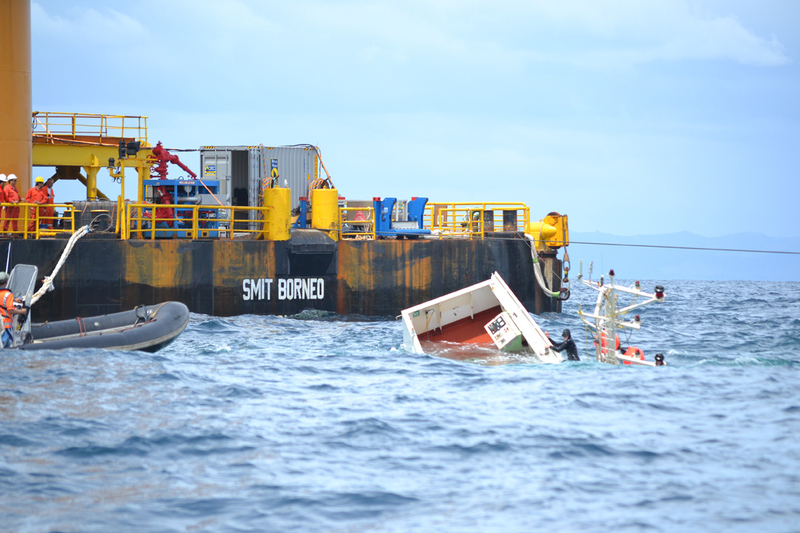 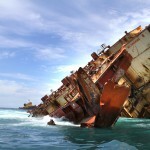 To remove containers has become more difficult for the salvage teams. 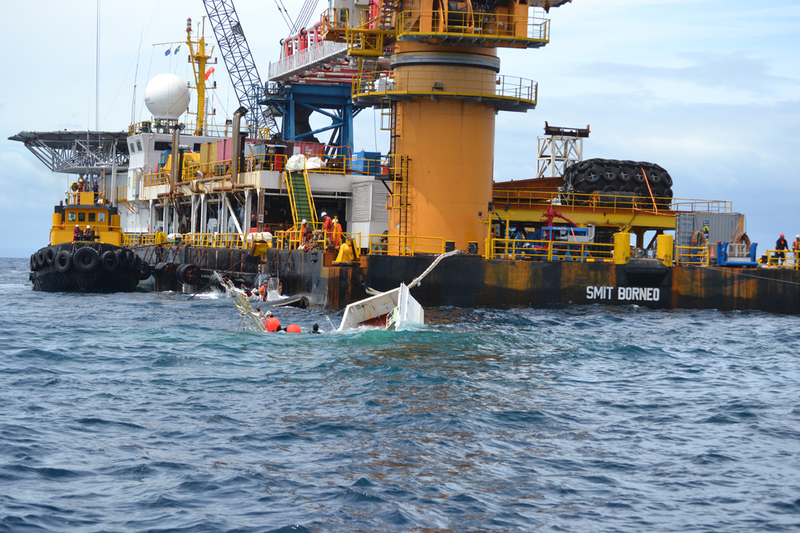 The bow section sits in area which makes it difficult for the crane ship Smit Borneo to get close enough to pull some containers off the vessel. 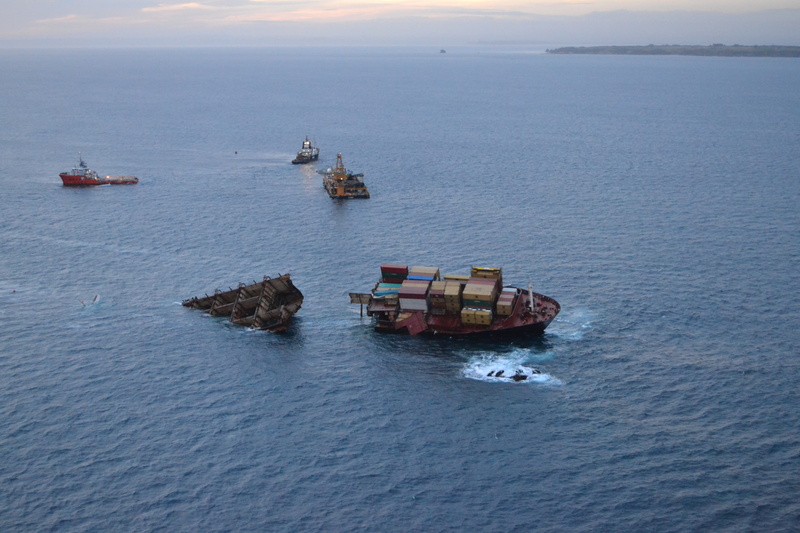 So, tugs have been employed to pull containers overboard with the crane recovers them from the water. 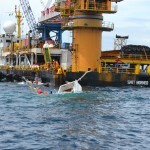 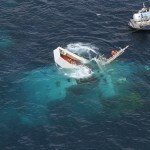 An oil slick is still visible coming from the submerged section of the stern. 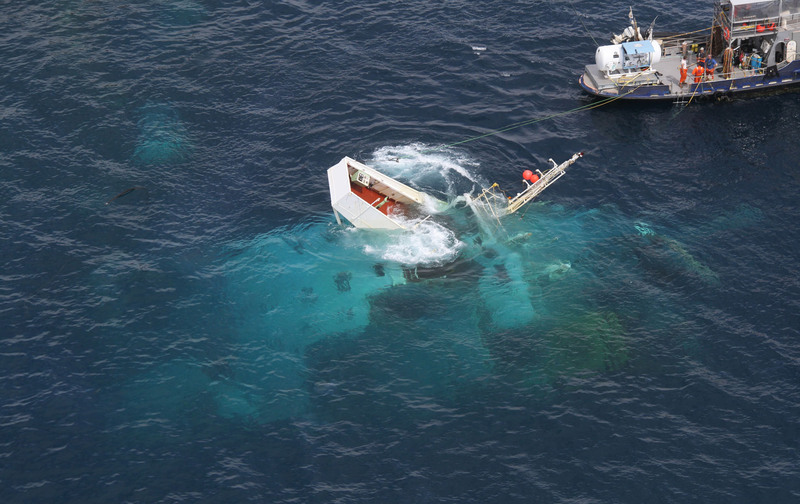 Reports state there might be at least ten tons of oil trapped in pockets in the stern. 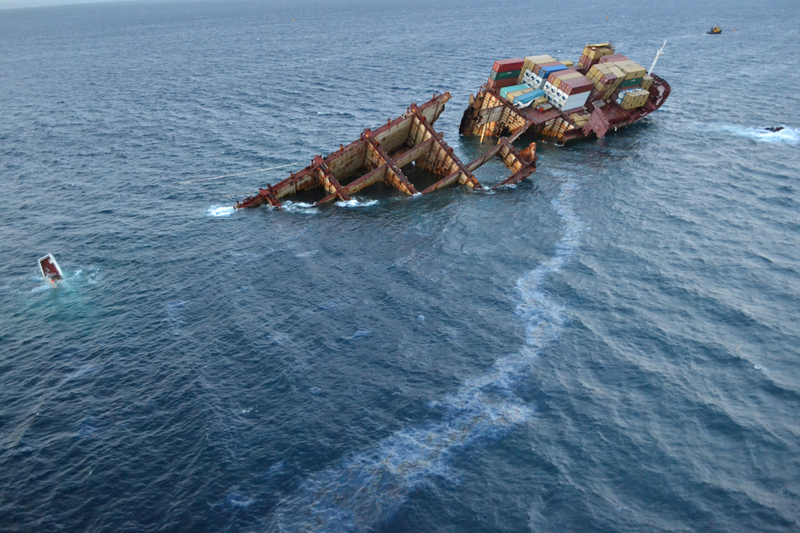 Oil continues to wash ashore around Tauranga and Motiti Island. 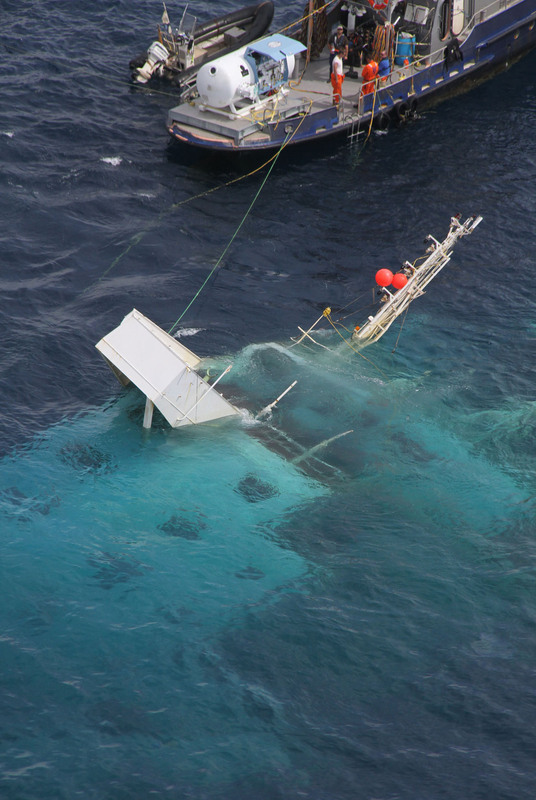 The water around the wreck is also being checked for toxins. 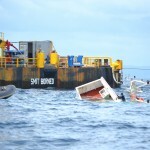 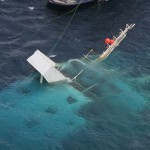 The decomposing contents of containers can make the water too toxic for divers in normal dive suits. 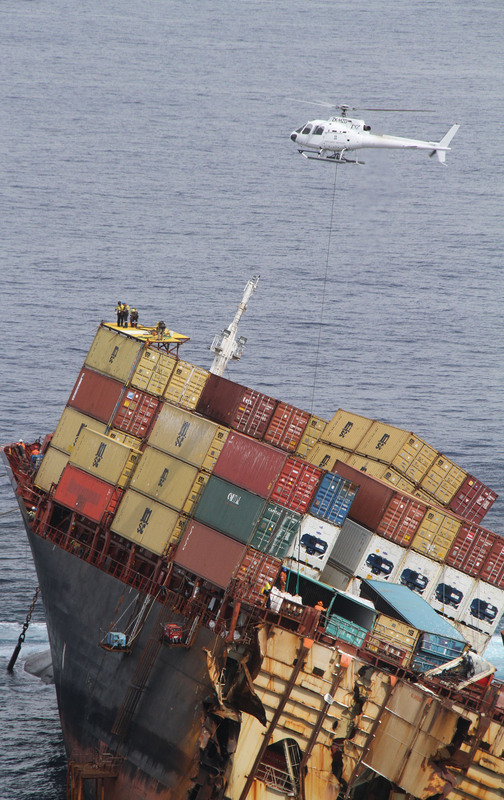 No reports on how salvage teams will remove the containers still trapped in the stern.